Each year, in our local community, there are parents who find it difficult to provide a Christmas celebration for their children. There are individuals who feel desperate and alone during a time when others are surrounded by loved ones. We believe that every person should feel special and cared-for during this wonderful time of year. Last year we were able to provide toys to almost 2,000 children who may have otherwise gone without on Christmas morning. In total, over 1,500 families (about 4,500 people) received a Christmas Basket last year. Financial support is always crucial during the holidays so that we can continue to provide, not only toys and food, but hope and smiles to our neighbours through the Christmas Baskets program. The Christmas Baskets program relies on the generosity of our community to keep us running. For over 50 years every year to help those less fortunate. We can always use your help. Christmas Baskets opens the first week in November and delivers food hampers within the last few days before Christmas. The location of our program can vary, but the dedication and commitment of our community and volunteers doesn’t. Each year, hundreds of volunteers donate their time to help. In support of the Christmas Baskets Program, local schools partake in the Fill-A-Bus Campaign each year. Students bring in non-perishable food items to help their school “Fill-A-Bus”. All donations are distributed to families in need through the Christmas Baskets Program. To register your school call 519-751-0000 or 519-751-4357 ext. 226. Registration for the 2018 Christmas Baskets program is will open in November. Registration must be completed in person Monday through Friday, from 9am – 4pm at our Christmas Baskets distribution location: (To Be Determined). To register, you must provide proof of income, proof of address, and valid identification for every member of your household. For a list of acceptable forms of identification, please click here. Our volunteers will help you complete your registration form, and an appointment date will be set up for you to pick out toys for your children. You will also be given a date to come and pick up your Christmas food hamper. If you can’t pick it up, please let us know and we will have it delivered to your home. 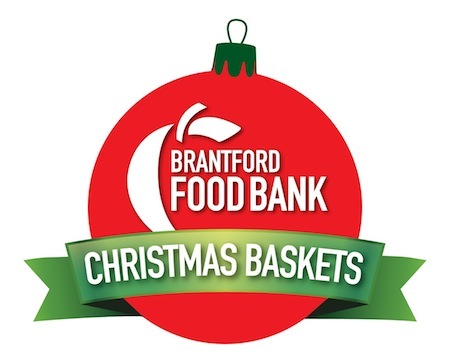 For more information about the Christmas Baskets Program please call 519-751-0000 or 519-751-4357 ext 226. Click the link below to donate to the Christmas Baskets Program through Canada Helps now.